Snowbirds share their keep-fit tips, from line dancing to walking the dog. What's your plan if your wallet or passport goes missing? Do you know how to lock your phone if it's stolen? 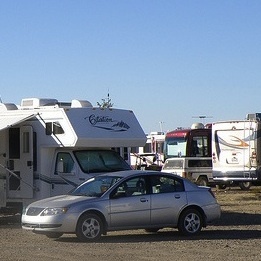 Newbie snowbirds often have questions about safety in RV parks and boondocking sites. 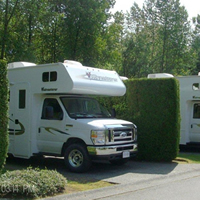 RVers who live in Canada but lease a lot in an RV park in Washington state wonder who will insure their vehicle. 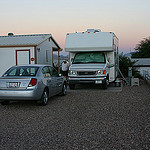 There are plenty of options when it comes to where to park your RV. Choose the one that's best for you. Try this fun questionnaire to determine your partner's communication style (and understand your own). RVing means hours spent in a small space with your partner. How do people cope? The trees are changing colours and the snow is starting to fly. It's time for one of the biggest snowbird challenges: packing the RV. Tips for making the best use of existing cupboards and drawers and adding storage space in unexpected places in the RV. Outside compartments seem huge until you start loading them up with the necessities of life on the road. Cell phone connections and media stations are sparse in unpopulated areas. Be prepared to be out of contact with the outside world for significant blocks of time. There are two no-excuse rules you must follow when exposing the rest of your RV neighbours to your pets. Learn some of the do's and don'ts of living in an RV park.